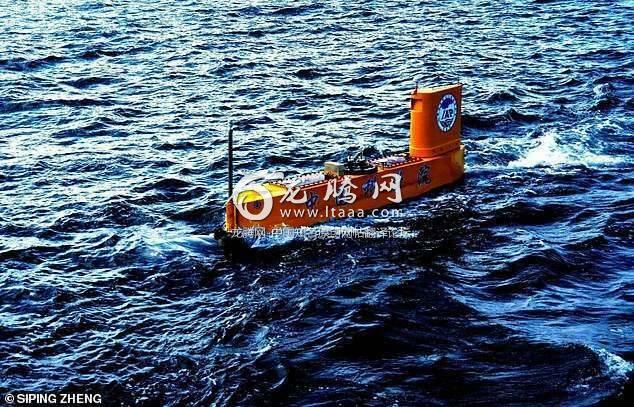 Scientists in China have launched a weather observation rocket from asemi-submersible drone ship in a world's first for meteorological research. The unmanned semi-submersible vehicle (USSV) was designed specifically todeploy instruments that can hit altitudes beyond the reach of weather balloons. ‘The unmanned semi-submersible vehicle is an ideal platform for marinemeteorological environmental monitoring, and the atmospheric profileinformation provided by rocketsonde launched from this platform can improve theaccuracy of numerical weather forecasts at sea and in coastal zones,' explainsstudy co-author Dr Jun Li, a researcher at the Institute of AtmosphericPhysics. The team plans to develop a network of unmanned semi-submersible vehiclesacross the oceans to match that on land. In particular, something called the 'equilibrium climate sensitivity' measurehas been causing scientists a headache. These vehicles themselves could be built to contain sensors that would allowfor three-dimensional observations from inside typhoons and hurricanes. ‘We are currently developing a new generation of USSVs which can carry varioussensors relevant to marine science, including conductivity-temperature-depth,acoustic Doppler current profiler, and motion sensors to provide verticalprofiles of the conductivity, water temperature, current velocity, and waveheight and direction,' Chen says. "Cheap fake space - made in China" utube it. Why does DM constantly publish Chinese puff piece propaganda stories? If they're so concerned about climate change why don't they do something abouttheir enormous pollution problem? You know they won't be used for the weather.